This is part of the Cindy Crawford Home collection, the Avenue is the place to stay comfortable and elegant. Covered in a beautiful burgundy colored microfiber expensive fruit Tufted details and has a rich base of merlot finished wood. 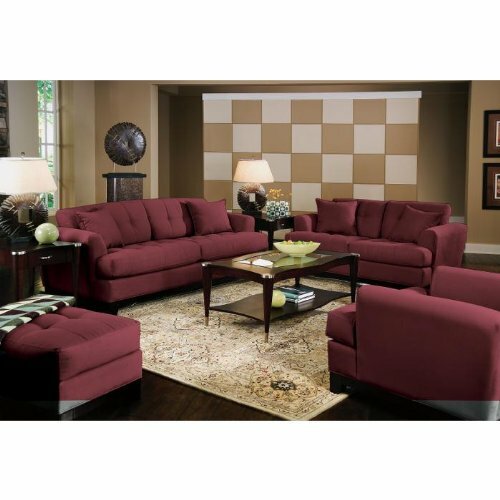 Quality constructed on a hardwood frame for lasting wear, this collection adds comfort and fashion to your living room. Looks elegant when combined with a minimalist coffee table, carpet colors that match the brown color of the walls also have the character of the same. The atmosphere of the show feels soothing.